The Rendezvous Hotel- it’s the only high-rise hotel on Western Australia's Sunset Coast, and it marks the location of Scarborough for miles around. Though you’ve probably seen it, you may not know of its illustrious past or its trendy present. The Rendezvous was controversially built in 1986- then called Observation City- for Alan Bond, who intended to profit from the anticipated demand for accommodation when the 1987 America's Cup challenge was held in Fremantle. Scarborough locals campaigned strongly against the 25-storey development, though obviously failed, and there were claims of bribery and corruption. The City of Stirling has since limited new beachfront building developments to a height of eight storeys. On the water, the Americans were victorious with ‘Stars and Stripes 87’ from San Diego Yacht Club defeating the Royal Perth Yacht Club four wins to nil. Incidentally, this was also the last year that 12 metre class yachts were used in the America’s Cup. Bond’s ambitious plans to convert the entire Scarborough Beach strip also failed, due to an inability to purchase all the required real estate. However, he still had reason to smile. In its heyday, ‘Observation City’ was the hotel of choice for visiting superstars including Michael Jackson, Cher, Bono, Kylie Minogue, Robbie Williams, Tina Turner and Pearl Jam. Michael Jackson stayed at the hotel in 1996 when he brought his HIStory tour to Perth. Fans swarmed around the building during his stay there, hoping for a glimpse of the superstar. Jackson played the hotel’s baby grand piano, which is still proudly on display. Having moved on from its illustrious past, and other times when the gloss had definitely faded, the Rendezvous is now leading a revival of the Scarborough area. Boasting a recent multi-million dollar refurbishment, the new-look Rendezvous is helping to re-establish Scarborough as a vibrant destination for visitors and locals alike. Architects Tema International have designed all 336 rooms and suites, taking inspiration from WA’s coastal lifestyle. The refurbishment also includes a new club lounge on the 25th floor, which is exclusively available for guests staying in the premium club rooms and suites. 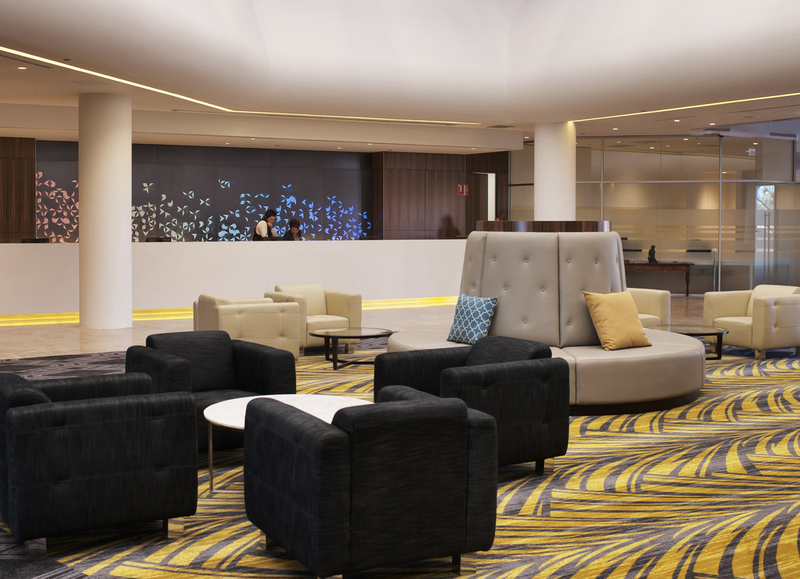 New dining venues include Straits Cafe, serving modern Australian cuisine, and the contemporary Lobby Bar. Upgrades to the hotel pool area are due to be completed soon. A $60 million redevelopment of the foreshore precinct is also underway, creating plenty of local buzz. As welcome as the improvements are, the glorious beaches and views of the Indian Ocean will always be the star of the show.